It has been over a decade has passed since the tragedy of September 11, 2001, but for many victims and their families, the most severe consequences are only recently setting in. In addition to the thousands who were lost in this national travesty, over 1,100 people have been diagnosed with cancer, including mesothelioma, caused by exposure to toxins at the time of the collapse and during clean up. In addition to public workers, including police and firemen, many civilians who were breathing in soot, ashes and debris were exposed to the asbestos exploding from the fallen Twin Towers. In September 2012, federal authorities added 58 types of cancer to the list of illnesses covered by those who were exposed to World Trade Center toxins. This list includes mesothelioma caused by asbestos exposure. Our Massachusetts mesothelioma attorneys are dedicated to protecting the rights of victims and their families and in recovering compensation for medical expenses, pain and suffering and other losses resulting from the deadly exposure. Recent publications indicate that after years of resistance 9/11 cancer victims are finally afforded relief. According to the Centers for Disease Control and Prevention, 1,140 victims have been diagnosed with cancers related to toxic exposures after September 11th. In addition to mesothelioma, victims of 9/11 have also been diagnosed with thyroid cancer and myeloma, a blood cancer that multiples the body’s plasma cells to deadly levels. While many of these victims are being offered medical insurance under the World Trade Health Program, the cancer treatments are often too late. In 2011, an administrator for the WTC Health Program said that cancer treatments would not be covered by the compensation fund. The organization also denied any allegations that there was a link between 9/11 exposures and the diagnoses of cancer. These defenses were made even in the face of compounding evidence that victims of 9/11 were exposed to known carcinogens and that these toxins were tested and identified in the dust surrounding ground zero. Investigators have found that cancer-causing agents, including asbestos lined the WTC columns and benzene in the jet fuel caused huge fires at the site of the crash. Researchers with experience in carcinogens also worried about particulates and gas that was inhaled by emergency crews and those who lived in Manhattan immediately after 9/11. Because the costs of cancer treatment are so significant (estimates are between $14.5 million and $33 million), many authorities did not want to concede the relationship between cancer and exposure to toxins on 9/11. 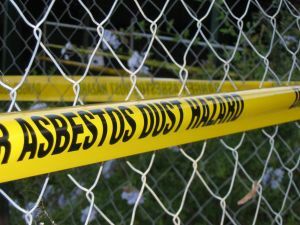 In addition to those exposed to asbestos the day of 9/11, many victims were also exposed after the debris was dumped in a Staten Island landfill. Advocates for the victims of 9/11 have argued that cancer does not develop immediately after exposure. There are known delays between workers who have been exposed to asbestos and the mesothelioma that can take decades to diagnose. After a study of firefighters who were exposed to toxins at Ground Zero, the government finally agreed to include cancer victims in the WTC Health Program. According to the study firefighters who worked at the scene on and after 9/11 were 19% more likely to develop cancer.